Is It Possible to Unlock iPhone without Touch Screen? 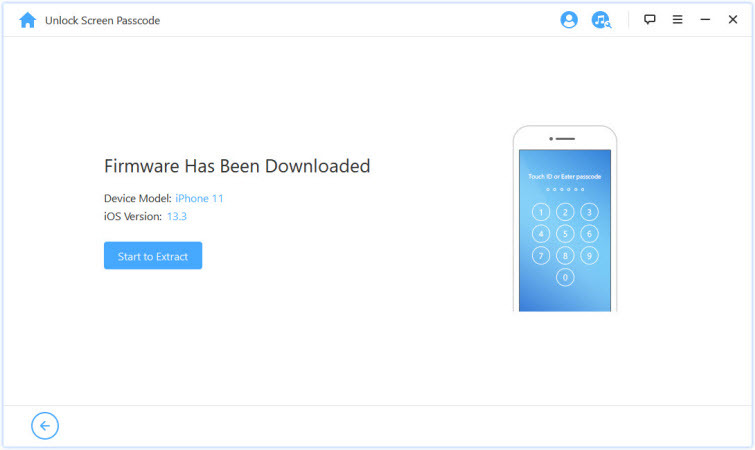 If your iPhone screen is broken thereby limiting you from using the touch screen, don’t be worried over this because it’s possible to unlock an iPhone without a touch screen. The best ways to achieve this is by using iMyFone LockWiper, VoiceOver, iTunes or cable. iMyFone LockWiper is the best and most affordable software for unlocking disabled or locked iPhone without touch screen or password. LockWiper can conveniently unlock an iPhone without touch screen, iTunes, iCloud or Passcode. It makes the task easy, enjoyable and convenient. Step 1. Launch iMyFone LockWiper, click the “Start” tab. Connect your iPhone to your PC using a USB cable and click "Next" on LockWiper. Step 2. 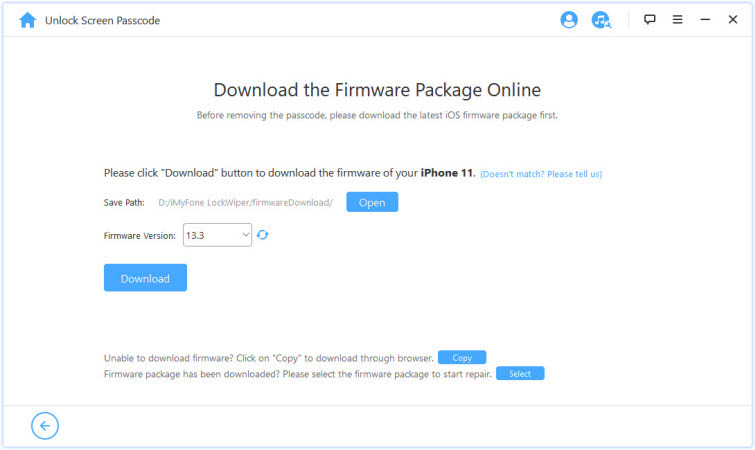 On the next page, click "Download" and it will start downloading and verifying a firmware for your iPhone. Step 3. When it's done, click "Start to Extract". It won't take long to process. Step 4. Click the “Start Unlock” tab to unlock iPhone without touch screen feature. Then, enter “000000” into the box and click “Unlock” to open your iPhone without a password. See, you can unlock your iPhone without needing the touch screen or even any button. 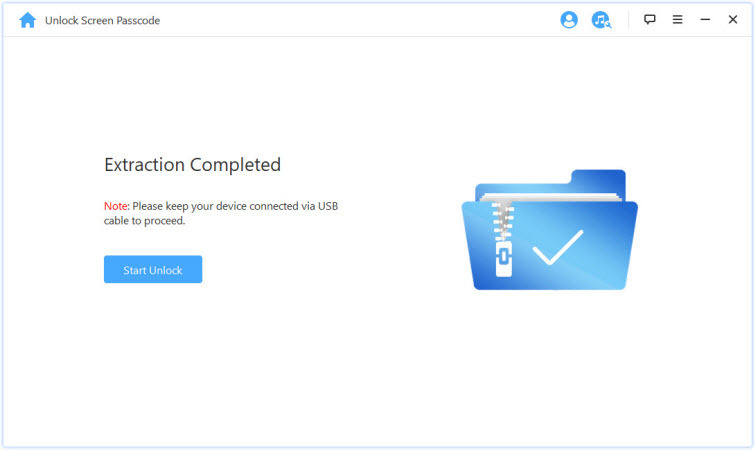 All you need is to connect your device and do a few clicks on LockWiper, everything will be done. 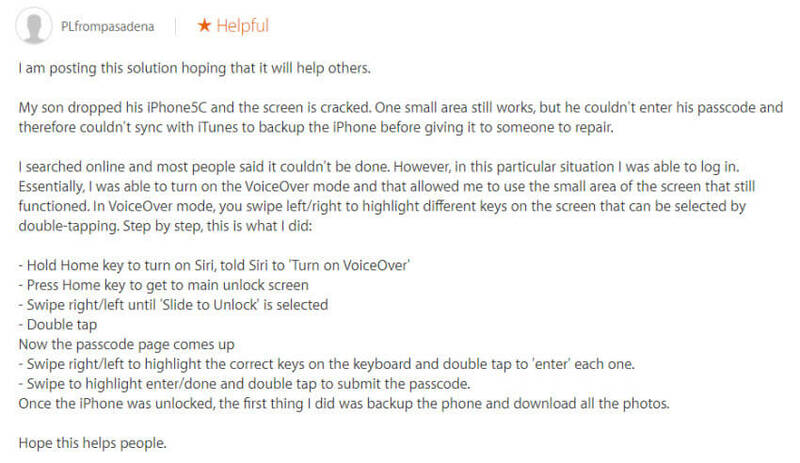 We earlier mentioned that you could unlock a screen broken iPhone using an iOS feature called VoiceOver. In the VoiceOver mode, you can move the cursor to highlight or click different keys, operate different iOS features and apps, and do anything on iPhone by using voice command. Using VoiceOver to unlock iPhone comes with a few limits. The major limitation is that with no part of the touch screen working, it may be too hard to operate. Secondary, instructing VoiceOver may not be easy, and it may take you a long while to open your iPhone. There is another complicated way of opening an iPhone lock screen with a wired USB keyboard. You’ll need to buy the keyboard that allows you to plug in Apple lightning cable to it. This you can get on Amazon. Step 1. Connect the external keyboard to your iPhone and double tap the spacebar to bring up the iPhone passcode screen. Step 2. Enter your iPhone passcode to unlock it. However, if you want to trust your computer when you connect to iTunes, this method may not be helpful. 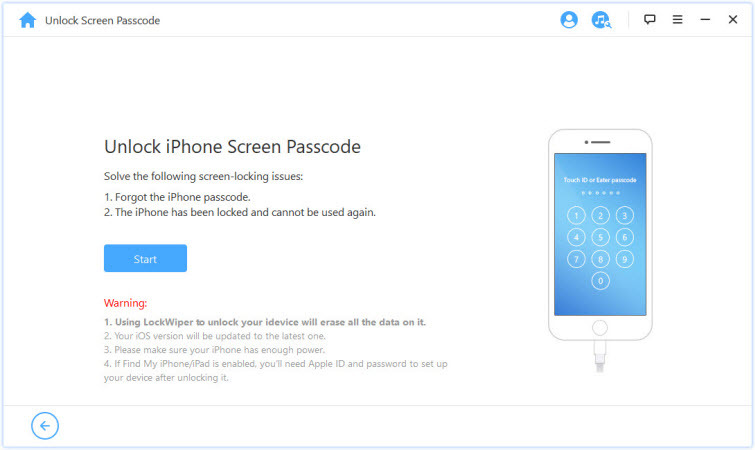 Hence, we advise you use iMyFone LockWiper to entirely remove your iPhone screen lock for easy access.